Jennifer Bolt is a dance artist, researcher, and writer working in the areas of performing arts student transition, feminism and critical pedagogy, dance psychology and dancer’s health and well-being. She has trained extensively in ballet, modern and contemporary dance across Canada, United States, England and France. She holds, with academic distinction, a Joint Honours Bachelor of Applied Health Science Degree from the University of Waterloo and Canada’s National Ballet School’s Teacher Training Program with two Associate teaching certifications from the Imperial Society of Teachers of Dancing (AISTD). From York University she received a Master’s in Dance on perfectionism and PhD in Education on performing arts student transition. Over the course of her doctoral studies at York University, she won three Ontario Graduate Student Scholarships, the Provost Scholarship and one of four University Wide Research Leave Awards to complete her Canada-wide collective case study on Fine Arts dance majors’ transition from high school to university. She has presented the results of this research at various conferences including CORPS de Ballet International Conference in Paris, France in 2013 and the inaugural 2016 Leap Transition Conference for dancers and athletes in Toronto. Based on the results her doctoral research, she evolved an educational model for student retention called PRIMEDTM. Interest from the academic, performing arts, and veteran community, resulted in Dr. Bolt founding PRIMEDTM for Life Educational Consulting—a ground breaking educational consulting business that offers post secondary institutions customized student-centered retention plans to support student transition, health and well-being. Through this business venture she is currently working with Randolph College for the Performing Arts, Peggy Baker Dance Projects, York University’s AMPD Deans office and Department of Dance, and the Ontario Council of Drama and Dance Educators on several different initiatives based on her educational model. A faculty member of York University’s Department of Dance since 2001, Dr. Bolt’s has been nominated for two University Wide teaching awards. Her teaching repertoire includes all levels of contemporary ballet technique, as well as various modern and ballet studio courses for non-majors. She has course directed both large and small lectures in dance history, dance experience and dance pedagogy. Since 2013 she has taught within the Faculty of Education working with teacher candidates in the consecutive and concurrent Education Program and guest lectured on diverse topics for the MA and Ph.D. programmes in Dance and Education. Dr. Bolt is the former co-director of the Teaching Assistant Program at York University’s Teaching Commons. In her role as an educational developer, she was instrumental in researching, designing and launching Teaching Assistant workshops and resources for the International Teaching Assistant. 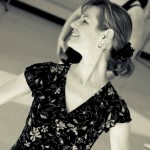 Noted in the Toronto dance community for her passionate and detailed teaching style, demand for Jennifer’s teaching expertise has granted her work with Canada’s National Ballet School, the National Ballet of Canada, George Brown College/Ballet Jörgen, Randolph College for the Performing Arts and private dance studios throughout the GTA. As a performer, her powerful stage presence, clean technique and tireless work ethic have afforded opportunities to work with many award-winning ballet and contemporary choreographers including Sashar Zarif and Lucy Rupert. In 2008, she made her choreographic debut with a work entitled Without a Word commissioned by the York University Dance Ensemble.